Currently he is holding the position of independent investigator contracted by Spanish Ministry of Health in Andalusian Molecular Biology and Regenerative Medicine Centre (CABIMER), Seville, Spain, and 2 research grants. Figure 2. 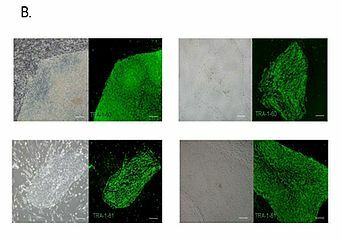 Immunostaining of patients’ iPS cells for pluripotency markers. 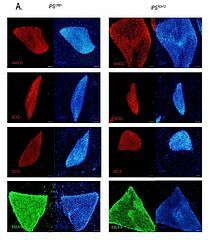 A.Immunostaining for NANOG, SOX2, OCT4, SSEA-4 proteins, together with nuclear staining using DAPI. The wide genetic heterogeneity of RDs suggests a diversity of disease mechanisms which are largely unknown and the variability of individual responses to drugs cannot be predicted. iPSCs can be created for a variety of reported mutations in contrast to animal models which in addition bear interspecies differences. Modeling retinal pathogenesis in vitro using patients’ iPSC-derived retinal cells can elucidate disease mechanism and serve as a drug screening platform. The challenge is to select “normal” control lines with which to compare patient-derived lines, due to large subject variation. Ideally, pairs of isogenic lines, a disease-bearing one and another with corrected, or removed mutation should be compared. 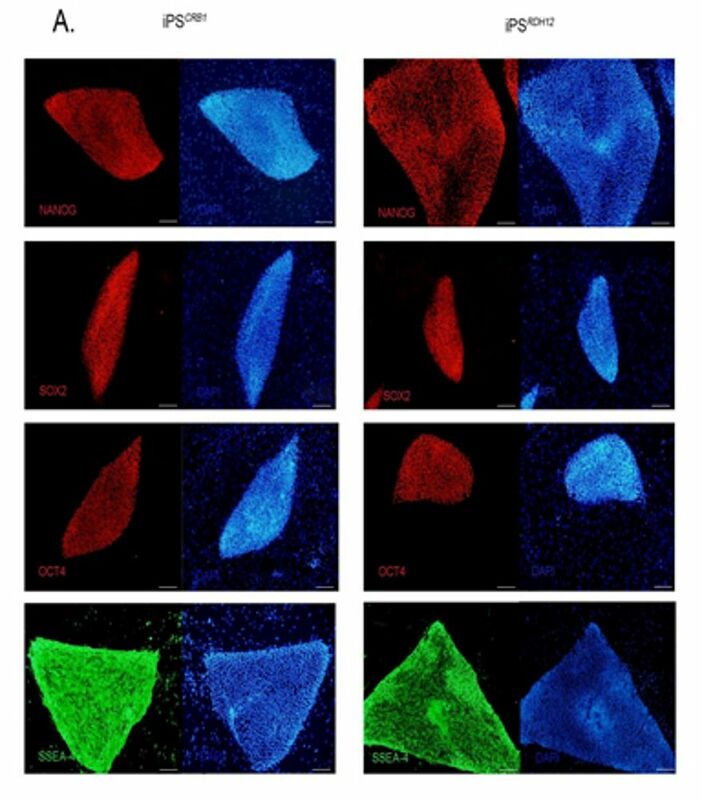 Here we have developed patients’ specific iPS cells by reprogramming two RD patients’ fibroblasts: one carrying compound heterozygous mutations in crumbs homologue 1 (CRB1) gene and another homozygous for a mutation in NADPH-dependent retinal reductase RDH12. We characterized the clones for pluripotency and ability to form all three germ layers. We aim to establish appropriate control lines with corrected mutations and subject the cell lines to differentiation toward retinal cells.